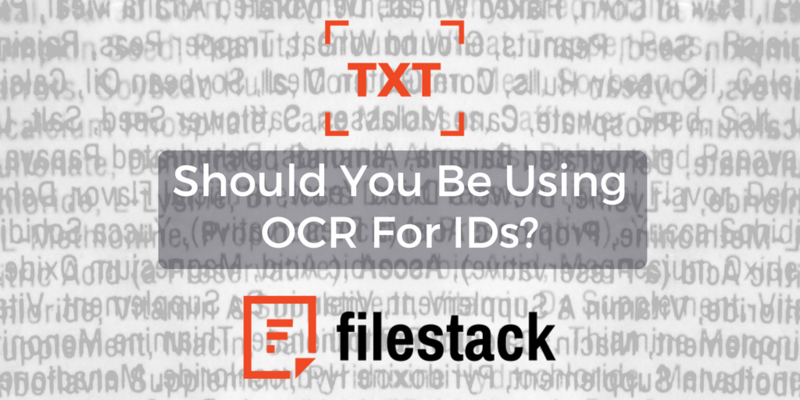 Using OCR for IDs is a great way for businesses to cut down on bottlenecks while gathering more information. Before we jump into specific use cases, let’s take a look at the machine learning landscape in general and how OCR fits into it. Machine learning, first introduced in the mid 1950s, has been useful to a wide variety of industries. Retailers use it to track consumer preferences and make recommendations and send promotional emails based on data received. Banks and other financial institutions use machine learning to anticipate and thwart potential cyber attacks. And, freelance taxi apps, such as Uber and Lyft, use it to map out the shortest routes and calculate estimated fares. In the near future, we are likely to see machine learning used to control self-driven vehicles or add an extra degree of security to social media and similar online accounts via facial recognition software. OCR in banking: Banking applications are abound for OCR technology. It allows consumers and companies to upload their IDs on their mobile devices and have the “computer” verify the account holder’s identity, thus, enabling the bank to release funds quicker. OCR in health care: OCR has many applications for doctors’ offices, clinics and hospitals. It allows entire medical records to be digitalized and searchable, so other healthcare institutions can access a patient’s information (with the patient’s permission) making hand-carrying paper medical files obsolete. Digitizing IDs and personal files also makes it much harder for patients looking to abuse the system to get multiple prescriptions for the same drug from different doctors. OCR in the insurance industry: The insurance industry also generates a mountain of paper documents and faces the challenge of customers wanting a quick turnaround on their claims. OCR allows such companies to send and verify documents and IDs via email. The end result is a quicker and more secure passage of information for both parties. The potential for and the number of applications for OCR for IDs continues to grow as machine learning technology matures and increases. Most industries can benefit from machine learning, from making documents easier to store, verify and share to helping analyze your customers’ preferences and help insure that your business has the inventory that customers want to buy.